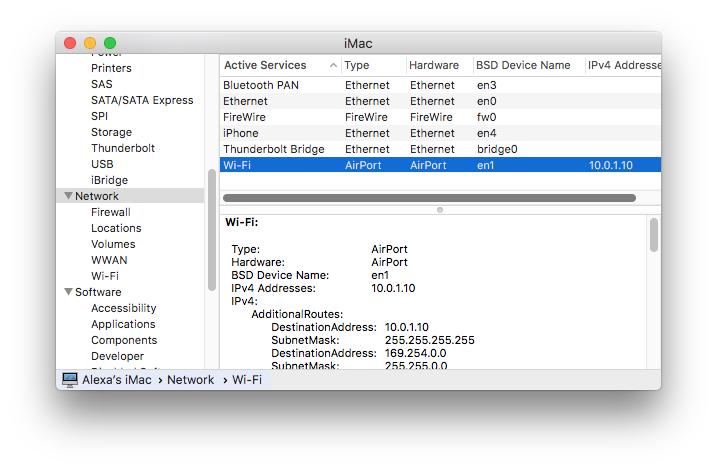 Read on to learn several ways you can locate the IP address on a Mac. Every computer has a unique number, called an IP address, which it uses to connect to the internet. 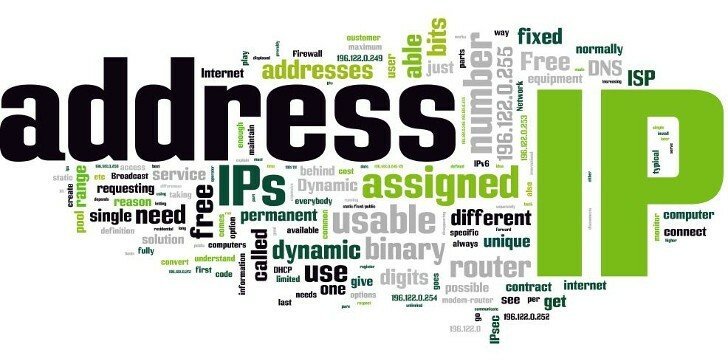 An IP address is like an email address: your computer exchanges data with the server and retrieves information to its’ address. In most cases, you do not need to know which IP address was assigned to your computer. However, some situations require it. For example, if you need to troubleshoot network problems, you will need to locate your computer’s IP address. 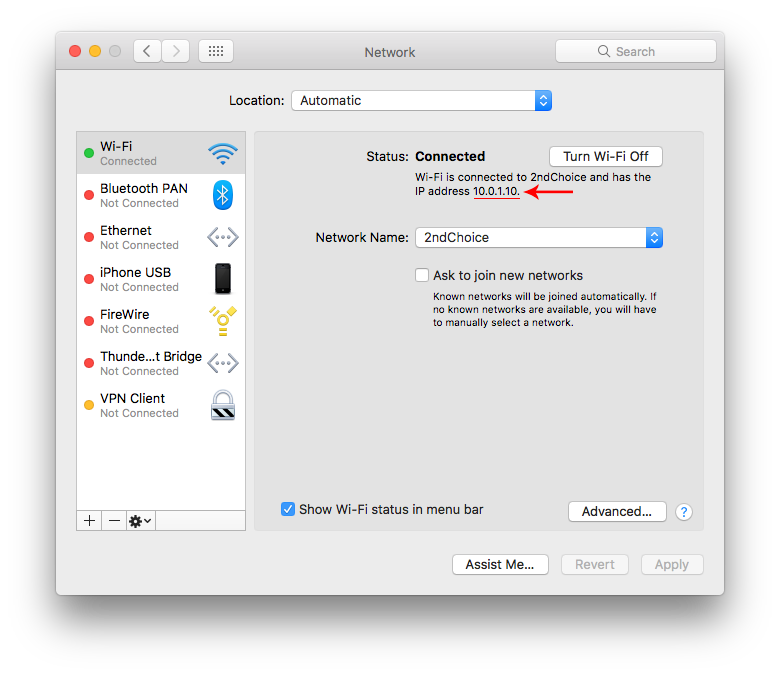 Here you can find several ways you can locate the IP address on a Mac. 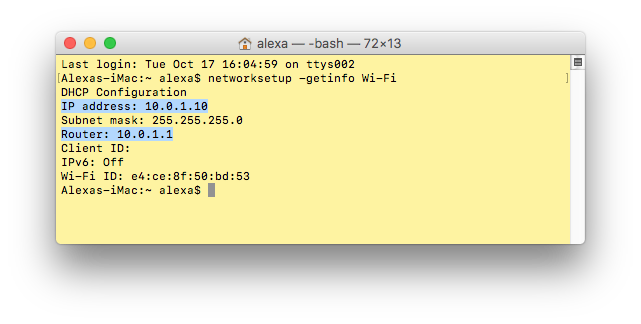 * For the wired internet connection, use the networksetup -getinfo Ethernet command. Next, press Enter. You will receive the information about your network: the IP address and the address of your router. You should note that the router and Mac IP addresses are not the same. 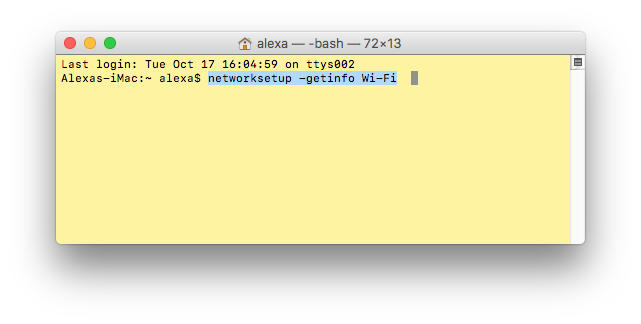 For those who don’t like working with the Terminal, there is another way to find IP. For this, click on the Apple icon in the Menubar and select System Preferences. Then, go to the Network section and make sure that the active network is selected (a green dot indicates an active network). On the right section, you will find your network IP address and some more details. To view the router IP address, click the Advanced button in the right-bottom corner and switch to the TCP/IP tab. Here you will find additional information about your network, including the address of your router. Go to the Apple Menu and select About This Mac. 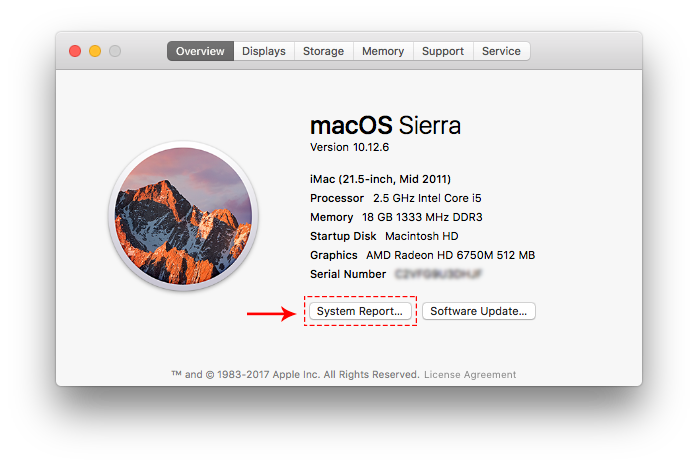 Then click on the System Report button. Switch to the Network. The available networks are displayed in the top-right section and in the IPv4 Addresses column, you will find the IP address of your active network. The IP address is your unique number, which is used to identify your computer. Unfortunately, anyone can easily determine your IP address. However, you can hide or change your IP address. Taking this precautionary step is especially important because of privacy and online security so that nobody can hack your data by IP address. One of the ways to protect your online privacy is by using a virtual private network. 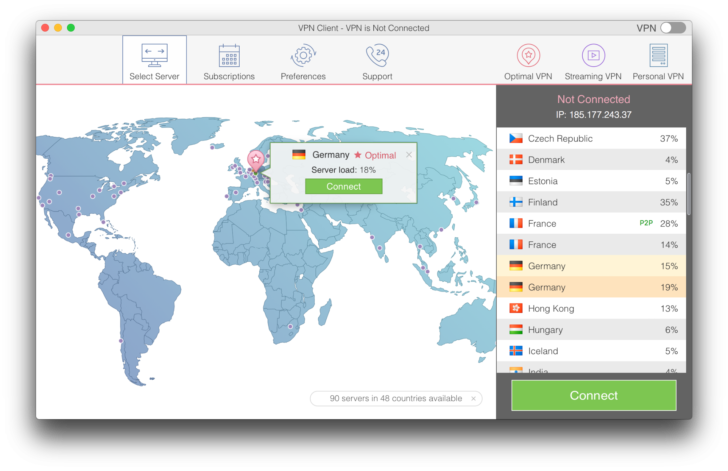 For example, you can use the VPN Client application, which allows you to change your IP address using any of 90+ servers across the world. To change your IP address, you will have to select a VPN server from either the map or from the list of servers, and then click to connect. Your real IP address will be changed to the virtual IP address. When would it be necessary to change the IP address? Besides protecting online privacy, there are other reasons why people may want to change IP addresses, including: to bypass internet censorship and open geo-restricted sites, to unblock sites and services which have blocked your IP address, and to access favorite web resources while traveling abroad.